Display technologies can be grouped into three broad technology areas; Organic LEDs, electronic paper and other devices intended to show still images, and Field Emission Displays. OLEDs – organic light-emitting diodes – are full of promise for a range of practical applications. OLED technology is based on the phenomenon that certain organic materials emit light when fed by an electric current and it is already used in small electronic device displays in mobile phones, MP3 players, digital cameras, and also some TV screens. With more efficient and cheaper OLED technologies it will possible to make ultra flat, very bright and power-saving OLED televisions, windows that could be used as light source at night, and large-scale organic solar cells. In contrast to regular LEDs, the emissive electroluminescent layer of an OLED consists of a thin-film of organic compounds. What makes OLEDs so attractive is that they do not require a backlight to function and therefore require less power to operate; also, since they are thinner than comparable LEDs, they can be printed onto almost any substrate. Areas where nanomaterials and nanofabrication techniques are used in OLED manufacturing are transparent electrodes (where for instance carbon nanotubes thin-films are gaining popularity) and nanoparticles-based coatings for packing the OLEDs to protect them from environmental damages (e.g. water). Nanoparticle-based deposition methods that might alsoo overcome OLED fabrication problems where issues such as material damage, yield, and thickness uniformity haven't been completely solved yet (read more: "A smoother way to printing OLED devices"). And recently, researchers have even developed brand new concept of OLEDs with a few nanometer of graphene as transparent conductor. This paved the way for inexpensive mass production of OLEDs on large-area low-cost flexible plastic substrate, which could be rolled up like wallpaper and virtually applied to anywhere you want. 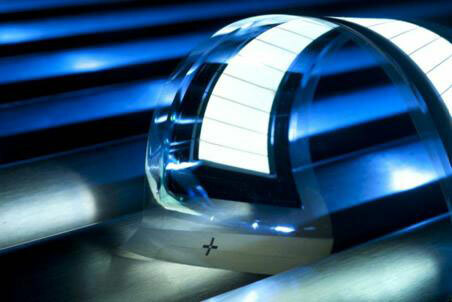 Nonetheless, exciton quenching and photon loss processes still limit OLED efficiency and brightness. Organic light-emitting transistors (OLETs) are alternative, planar light sources combining, in the same architecture, the switching mechanism of a thin-film transistor and an electroluminescent device. Thus, OLETs could open a new era in organic optoelectronics and serve as test beds to address general fundamental optoelectronic and photonic issues. "OLET is a new light-emission concept, providing planar light sources that can be easily integrated in substrates of different nature – silicon, glass, plastic, paper, etc. 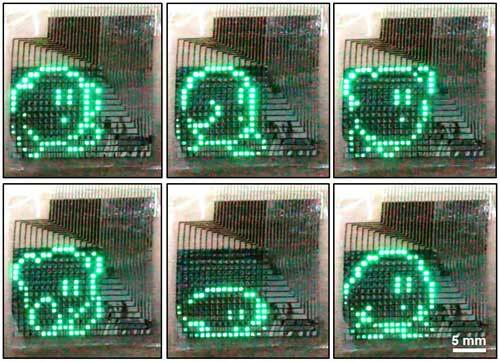 – using standard microelectronic techniques (read more: "Organic light-emitting transistors outperforming OLEDs"). Quantum dots (QDs), because they are both photo-active (photoluminescent) and electro-active (electroluminescent) and have unique physical properties, are one of the most promising optoelectronic materials and will be at the core of next-generation displays. Compared to organic luminescent materials used in organic light emitting diodes (OLEDs), QD-based materials have purer colors, longer lifetime, lower manufacturing cost, and lower power consumption. Another key advantage of quantum dot displays is that, because QDs can be deposited on virtually any substrate, you can expect printable and flexible – even rollable – displays of all sizes. For instance, researchers have demonstrated a passive matrix quantum dot light-emitting diode (QLED) display fully integrated with flexible electronics. 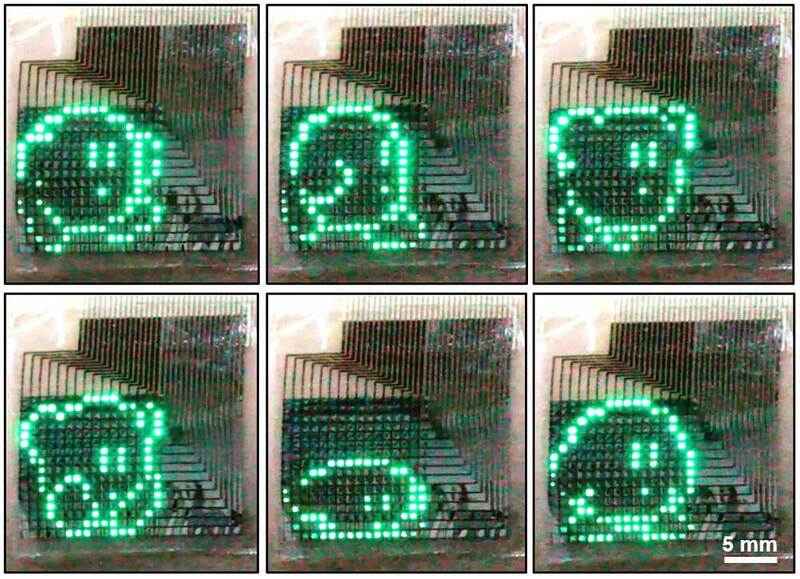 Unlike a conventional flat panel display, which uses a power-consuming backlight to illuminate its pixels, electronic paper reflects light like ordinary paper and is capable of holding text and images indefinitely without drawing electricity, while allowing the image to be changed later. Because they can be produced on thin, flexible substrates an due to their paper-like appearance, electrophoretic displays are considered prime examples of the electronic paper category. 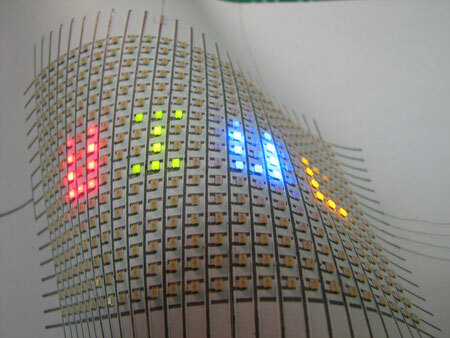 Optical image of a flexible paper display containing a LED array (25 × 16) on a Xerox paper. Electrophoretic displays already are in commercial use, for instance in the Kindle or in the Sony Reader, but so far the displays are mostly black and white. There are still cost and quality issues with color displays. Nanotechnology researchers have shown that organic ink nanoparticles could provide an improved electronic ink fabrication technology resulting in e-paper with high brightness, good contrast ratio, and lower manufacturing cost (see: "Nanotechnology drives electronic paper displays"). Researchers have turned to carbon nanotubes to create a new class of large area, high resolution, low cost flat panel displays. Some believe field emission display (FED) technology, utilizing carbon nanotubes (CNT) as electron emitter, will be the biggest threat to LCD's dominance in the panel display arena and that FED is the technology of choice for ultra-high definition, wide-screen televisions. FEDs, in a sense, are a hybrid of CRT televisions and LCD televisions. They capitalise on the well-established cathode-anode-phosphor technology built into full-sized CRTs using this in combination with the dot matrix cellular construction of LCDs. The electron emitters, arranged in a grid, are individually controlled by "cold" cathodes (unlike in normal CRTs, field emission does not rely on heating the cathode to boil off electrons) to generate colored light. Field emission display technology makes possible the thin panel of today's liquid crystal displays (LCD), offers a wider field-of-view, provides the high image quality of today's cathode ray tube (CRT) displays, and requires less power than today's CRT displays (read more: "Making nanotube TVs happen"). What is a MOF (metal-organic framework)? 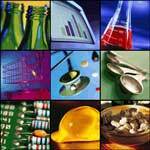 What are metamaterials & metasurfaces?